George Vanderbilt was as meticulous about his gardens as he was about everything else. 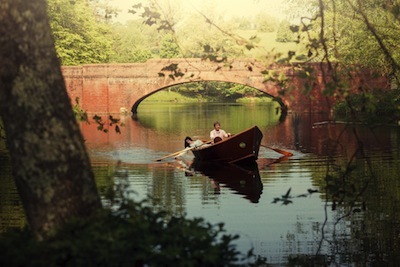 It only makes sense that he would hire Frederick Law Olmsted, the father of American landscape architecture, to create a truly spectacular experience. Start your visit at our four-star Inn or at our charming Village Hotel. Arriving the night before your visit begins allows you to get an early start the next morning. Make your first stop at Antler Hill Village. Take advantage of the cool morning temperatures and see why our stunning gardens have been included in the Top Ten Botanical Gardens of the World by Travel + Leisure. Then, enjoy coffee and pastries at the Creamery. Soak up the ambience of this charming 15-acre village full of beautiful container gardens, new and historic trees, and plenty of perennials. 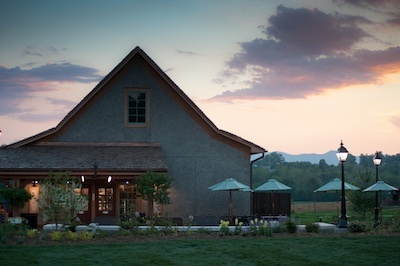 Your next stop should be the Winery for a complimentary wine tasting. Return to The Inn or Village Hotel for a fresh and delicious dinner, featuring estate and locally grown culinary favorites. Enjoy another peaceful night’s sleep at The Inn or Village Hotel. 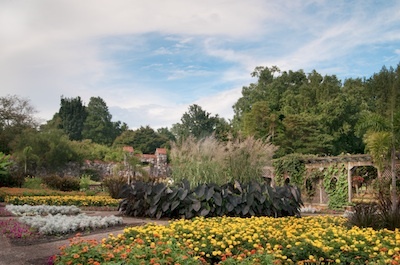 Get an early start on your Biltmore House & Gardens visit. Be sure to admire the Approach Road as you travel toward the house. Each twist and turn was carefully planned to bring visitors a sense of leaving the city behind them and moving farther into the woods. When you arrive, enjoy delicious breakfast pastries and fair-trade coffee at the Bake Shop in the Stable Courtyard at Biltmore House. Purchase our Audio Guide to Biltmore House, which covers all rooms open to the public in America’s largest home. Look for fresh floral arrangements and live plants inside the house and at the front entrance. Many exotic plants are brought in from the Conservatory, and you may even catch a glimpse of our Floral staff at work. Savor the beautiful green Tennis Lawn bordered by the Pergola and Shrub Garden. Rolling Blue Ridge views to the south complete this picture-perfect setting. The Conservatory is a great example of a functional, beautiful space. 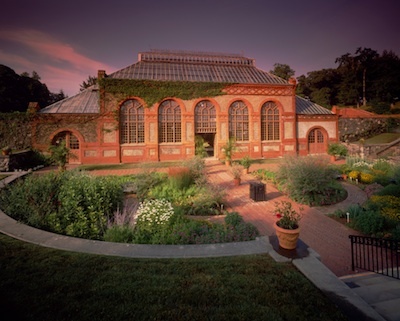 Stroll through the exotic blooms and buds that thrive under its expansive glass roof. Just below the Conservatory, take advantage of some great shopping at A Gardener’s Place. This unique shop offers both gifts and plants – many of which are exclusive to Biltmore – and also has daily complimentary “how-to” seminars (open from late March through December 31). Continue through our gardens, including the Spring Garden – which, despite its name, is equally lovely in every season. 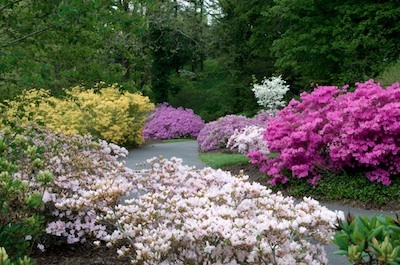 As you visit the Azalea Garden, imagine yourself in the role of “azalea hunter,” collecting rare specimens like Biltmore’s Chauncey Beadle did for nearly 60 years. Look for historic and champion trees such as China firs and the second generation of Cornelia Vanderbilt’s “baby tree,” a cucumber magnolia planted in honor of her birth in 1900. Continue all the way down to the Bass Pond, observing how the landscaping becomes more informal and naturalistic as you move farther away from Biltmore House. On your way back to The Inn or Village Hotel, enjoy a leisurely dinner at Bistro in Antler Hill Village. This restaurant features estate-raised and locally sourced products. As a guest at our Inn or Village Hotel, indulge in a delicious breakfast. 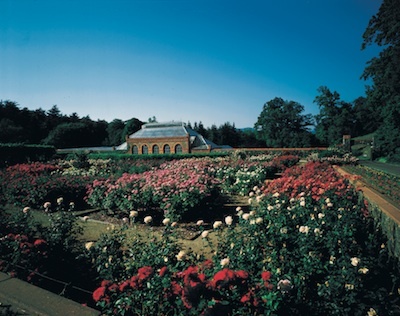 Check out The Spa, located in The Inn, and treat yourself to luxurious treatments such as a Rose Petal Facial and Rose Petal Pedicure, inspired by our historic gardens. Return to Biltmore House for the Guided Legacy of the Land Tour. In this informative and comfortable motor coach tour, travel across the estate, learning more about the history of the land itself and George Vanderbilt’s vision for Biltmore. Following your tour, make time for lunch at Cedric’s Tavern in Antler Hill Village.